I understand there are conventions around advertising but if shade cloth is being replaced by shade cloth of similar size i fail to see why this would excite anybody surely? Possibly something to do with being able to purhcase tennis balls at a discount price, so that people can continue to use the courts at reasonable expense. Possibly i have misconstrued the situation however. 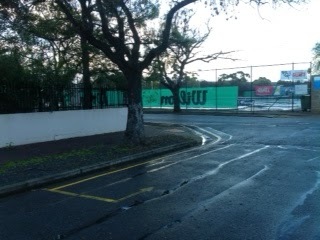 Tennis SA have been requested by staff to remove the shade cloth that is offending. They will be able to replace it with the black shade cloth they removed and may be allowed to keep the new green cloth on the internal fencing.